I love slippery elm for its effect on my throat. It is incredibly soothing and adds resonance to my voice. I like to drink it before I do any filming. 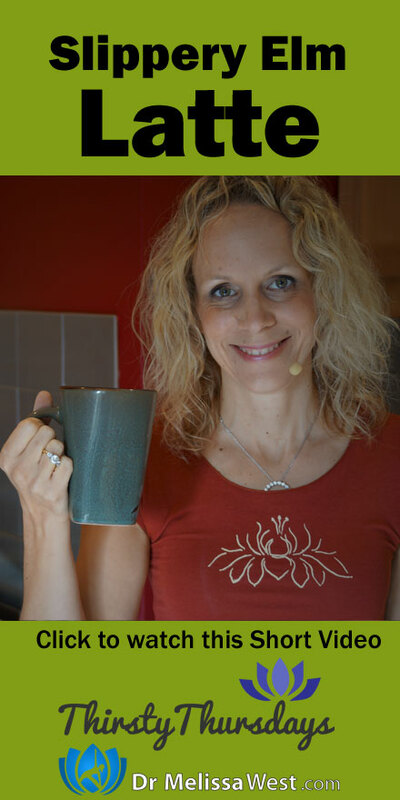 As a yogi I find it to be a fantastic fifth chakra drink! 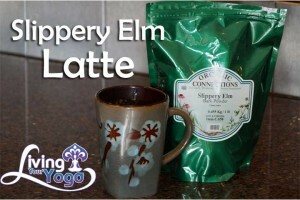 Slippery elm is gathered from the inner bark of Indian Elm tree in North America during the spring for medicinal use. Slippery elm is known for its soothing effect on whatever part of your body it comes into contact with. You can use it for sore throats, indigestion, inflammation of the respiratory and reproductive system, it will loosen congestion in the lungs. Slippery elm is used for irritable bowel syndrome, crohn’s and colitis by soothing the mucous membranes lining the stomach and intestines. Slippery Elm should not be taken if you are pregnant. Slippery Elm inhibits the absorption of iron, so if you are iron deficient, separate out your slippery elm from your iron supplements by 2 hours.